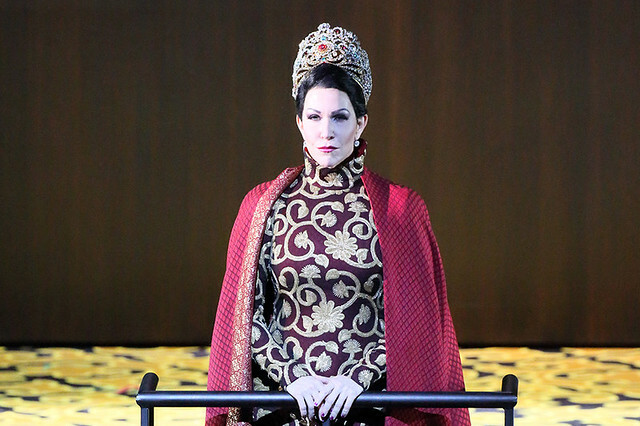 Based on a story by Voltaire, Rossini's tragic opera Semiramide sees its characters wrestle against fate as the story propels them towards the harrowing finale, to music of magnificent beauty. Conductor Antonio Pappano discussed the music with mezzo-soprano Joyce DiDonato. Joyce also explored the opera's characters with fellow mezzo-soprano Daniela Barcellona, who will perform the role of Arsace, and Lawrence Brownlee who will perform the role of Idreno. Director David Alden also gave insights into the production as The Royal Opera prepares to stage it for the first time. Semiramide runs from 19 November—16 December 2017. Tickets are still available. To make this perfect for me, Juan Diego Florez would have to sing Idreno. His interpretation (on YouTube) is the most beautiful I've ever heard. But Florez no longer sings such roles. His voice has changed and his roles for the near future include Hoffmann, Edgardo in 'Lucia' and the Duke in 'Rigoletto'. Would just like to wish you a wonderful run of performances! So wonderful that you share the Insight evenings. I tried to get a ticket for this one but it was sold out. I went to the rehearsal of the opera and will be going to the performance on Dec 8th but so good to have 'met' the artists during this programme. Many thanks.